When it comes to large scale aircraft corrosion control facilities, TRUFLOW have the experience to build a facility turn key. 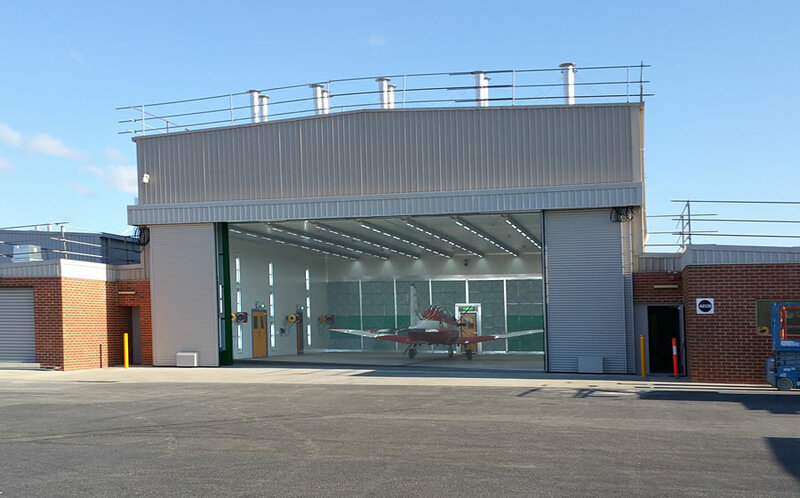 CCF Facilities can be installed within an existing hanger; the spray booth is integrated into the building thus re-purposing a existing facility with a new state of the art spray environment. Aviation coatings require precise environmental control over temperature and humidity. The Spray System is designed to be a clean, well illuminated environment in order to correctly paint and cure an aircraft while minimising contamination. 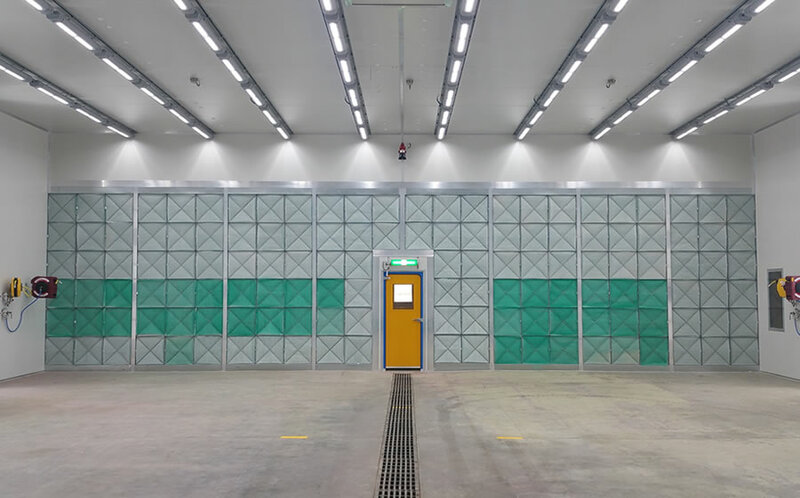 Wheather it be a purpose-built aerospace spray booth within an existing hangar, a re-purposed brownfield site or a brand building and spray facility construction, we can assist. 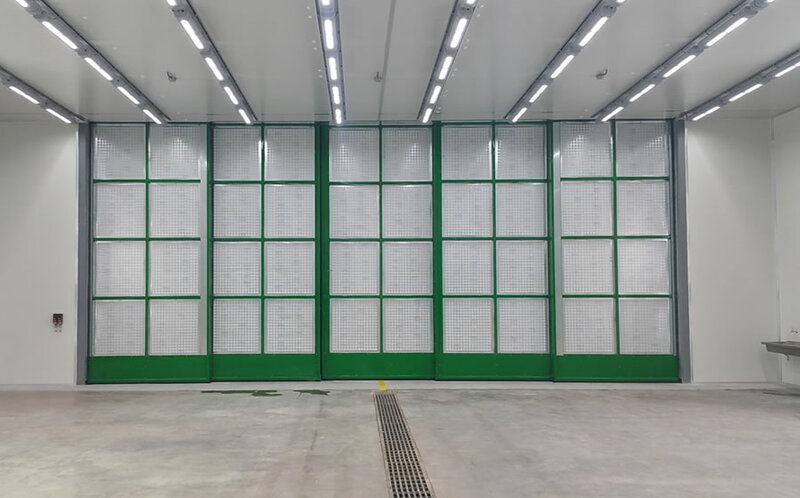 From early design and implementation we have worked with a number of clients on a wide range of military and civil aircraft spray booth facilities. 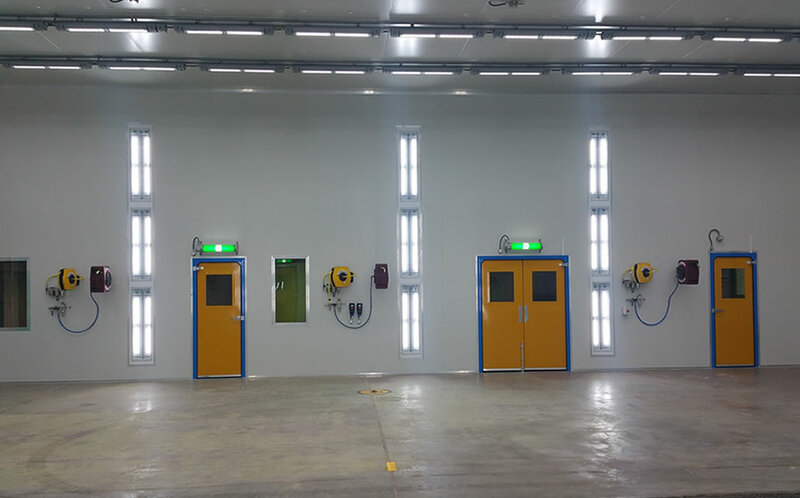 From the most intricate aircraft component / aviation composite spray booth applications all the way through to complete paint halls designed for military, commercial or private aircraft paint booths, we have worked as a specialist spray booth contractor in delivering these unique projects. We take pride in our ability to provide a complete turn-key service from design and manufactured through to installation and commissioning. Our world class facilities are currently in use throughout Australia by the Australian Defence Force and RAAF. All of our facilities are designed around operator safety and code compliance. The performance of our systems is guaranteed to provide a effective and fully compliant environments to support corrosion protection and coating application of aircraft’s and aircraft components.